Mercedes Anacleto is a first-year Journalism student in her Junior Year. She is the Social Media and Sports editor. During her free time she enjoys playing volleyball, being adventurous outdoors, and listening to music. As a student journalist, she trusts herself that she can inspire others and portray her skills. She looks forward to making a change in the school and inspiring others to join. 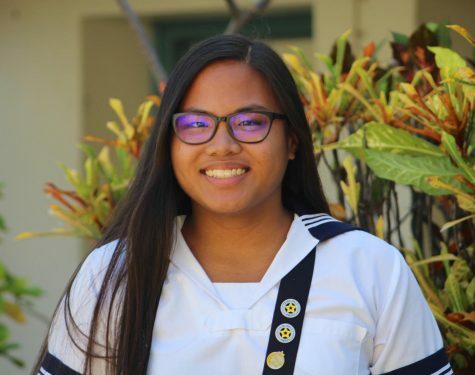 Outside of school, Mercedes is involved with the Hawaii Kai Retirement Center, Lokahi Volleyball Club, and photography.